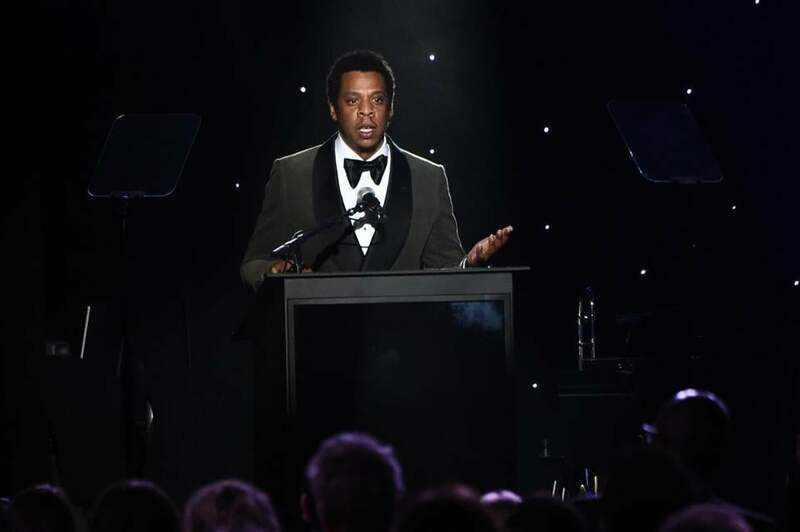 Jay-Z spoke onstage during the Clive Davis and Recording Academy Pre-GRAMMY Gala and GRAMMY Salute to Industry Icons. Nick Jonas played pool with his friends with no sticks, knocking the balls across the table. Jaden Smith took time away from guests and found some solitude practicing his piano skills on a grand piano. And at one point, Jay-Z, At one point, Diddy, Jay-Z, Khalid, Fat Joe and more lifted the rap mogul’s Ace of Spades champagne and D’usse cognac in the air for a raucous toast. Mariah Carey made a very late entrance, getting a hug from Big Sean and others as she made her way to see Jay-Z in the party’s fifth hour. 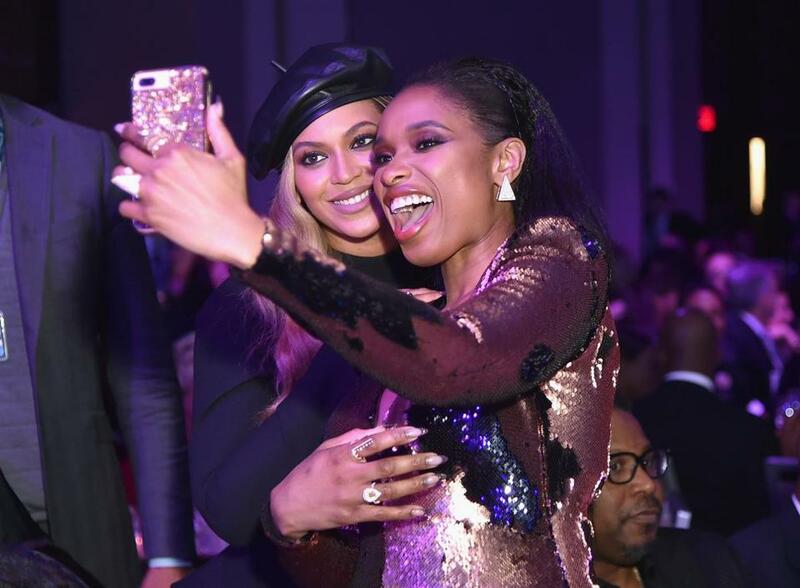 And even though Beyoncé made an even later entrance by minutes, she was still queen of the party as party goers and photographers made a beeline to get a picture of her. Dressed in a dramatic black dress with a plunging neckline, she held hands with her husband when she arrived and later held court with Carey, with Jay-Z nearby. Jay-Z is up for eight Grammys at Sunday’s ceremony including album, record and song of the year. The event will be held in New York at Madison Square Garden.